Since Bolludagur is in 2 weeks, February 11th this year, I thought this would be the perfect recipe to share today. Bolludagur is an Icelandic holiday, which I posted about here. 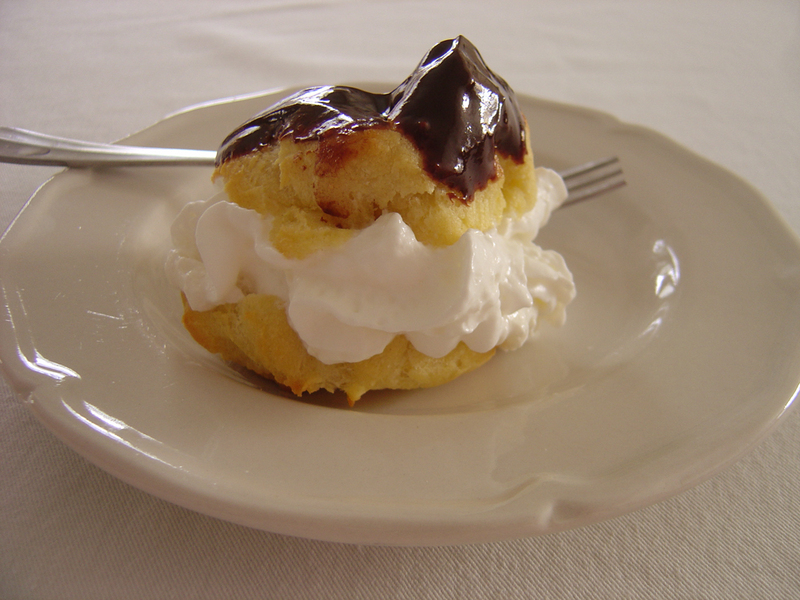 This recipe makes a choux pastry, pâte à choux, and is translated from metric measurements, I hope it works out for you. This site has pretty good pictures of the process and what it looks like at each stage. This pastry gets it's height from the steam created by the moisture of the batter, if you open the door you will lose that steam and your puffs will fall. This pastry would be the perfect example of why ovens have a light inside and a window in the door. Add eggs 1 at a time and combine completely before adding next egg. Do not open the oven to check the puffs or they will fall, use the window to get an idea of color. After the pastry comes out of the oven let them cool completely before assembling. Mix well, microwave in additional 15 second intervals, if needed until you can stir it until smooth.